This entry was posted in Local Feature, Local Restaurant Reviews and tagged Earth Burger, Fast Food, Restaurant, Restaurant Review, San Antonio, Texas, Vegan, Vegetarian. Bookmark the permalink. WOW!!! I’m so jealous can’t wait to try it! Yes! It’s the fast food I loved as a kid made vegan! i am so excited for my next trip to san antonio now! Great to hear! 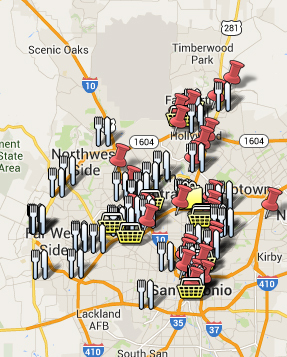 Check out my Vegan Google Map of San Antonio if you’re looking for more options! We just ate here for the first time and it was awesome! We will be back for sure! I went for my birthday! AMAZING. I keep going back for the coconut soft serve and fries, they taste amazing together! I have to order the Fishless Sandwich and Brownie every time I go! So glad you like it there too!